Happy October! 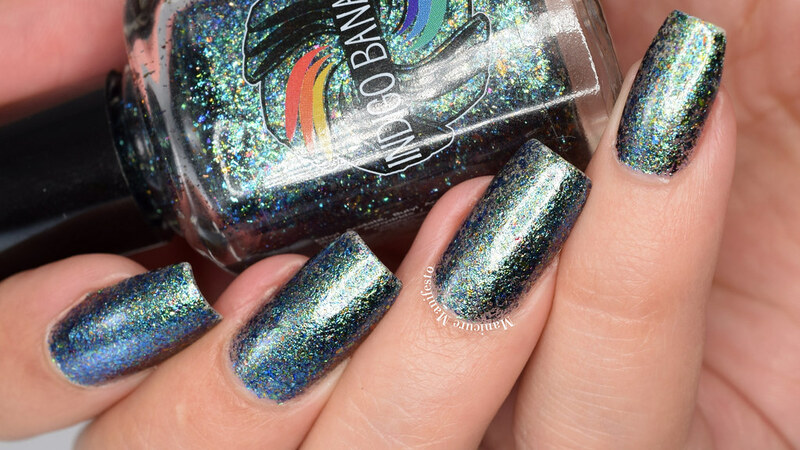 Today I have a super shiny full coverage flakie polish to share with you. 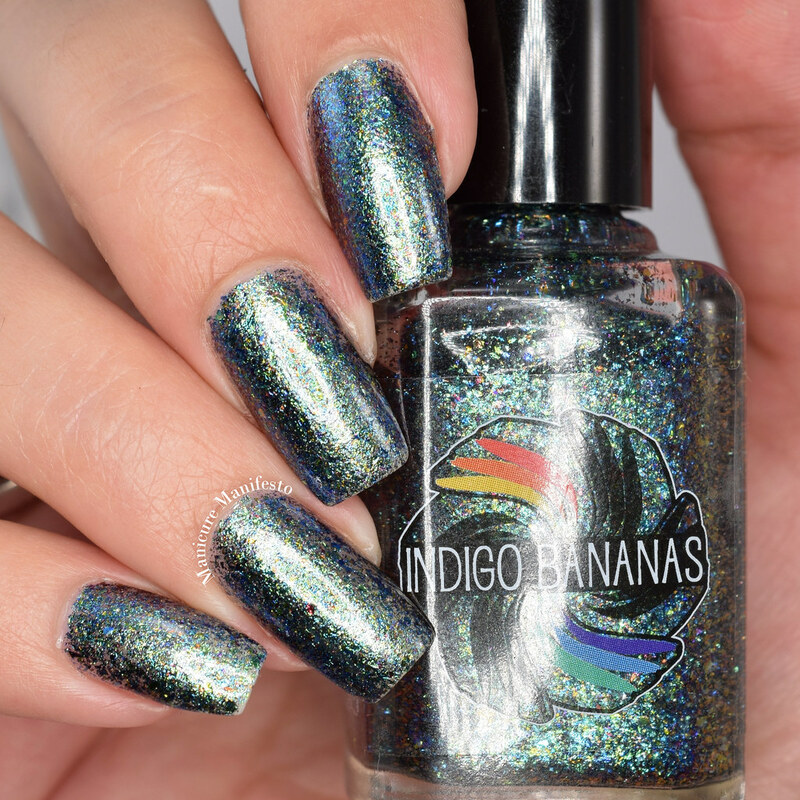 Indigo Bananas has this finish in a whole range of colours but I chose to try out Event Horizon because I'm addicted to teal. 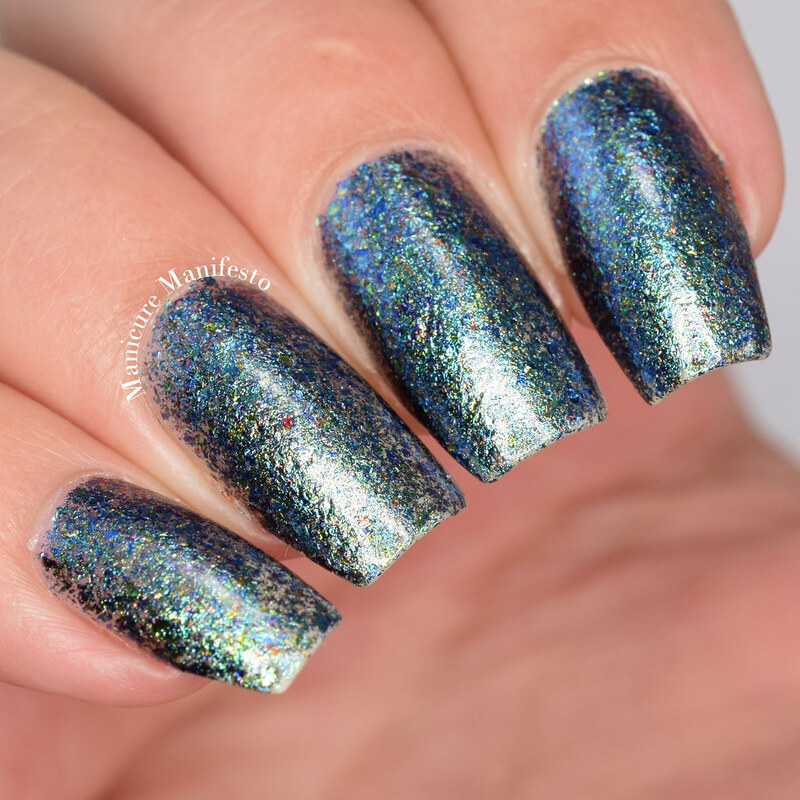 Event Horizon features metallic flakies in a clear base. 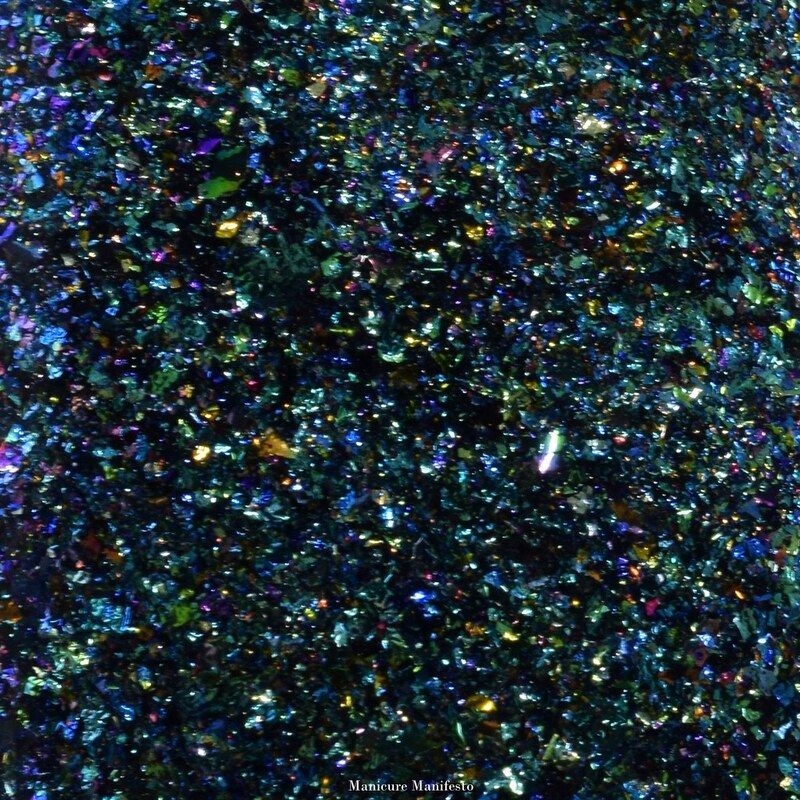 The predominant colour is a green leaning teal but there are also blue and gold flakies mixed in. The formula was very easy to work with. It took three coats for full coverage. I say full coverage because it's not 100% opaque as you can see in the macro shot, but the nail line isn't visible. 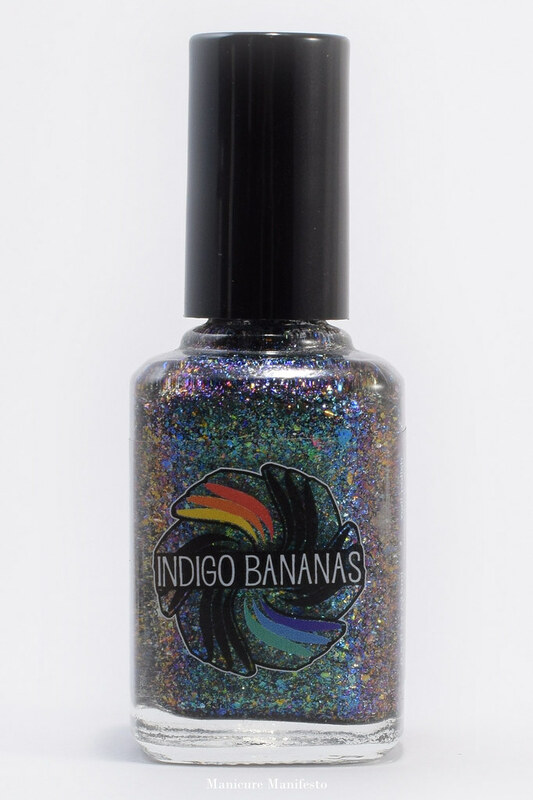 Photo show three coats of Event Horizon with one coat of CND Super Shiney top coat in daylight spectrum lighting.